Home Procurement News How does the Internet affect the supply chain? The Internet plays a large role in the lives of global citizens today. It's used for communicating with friends and family, completing schoolwork, playing games and accomplishing work tasks. Without the Web, many jobs would take a lot longer to do. The Internet has even expanded the supply chain. Retailers are no longer secluded to one region. Instead, they can receive orders from almost anywhere in the world. However, e-commerce has altered the way businesses run, and companies must change their habits to succeed in this online world. Online shopping has, in many ways, become preferable to visiting a store. Consumers don't have to leave their homes, they often find better selections and their products are delivered to them. Businesses can also communicate with customers across the globe, which leads to more sales. This convenience will only help Internet purchasing increase. Because of this, brick-and-mortar stores face some stiff competition, with many businesses emerging solely online. Some companies have failed because of their inability to keep up with e-commerce retailers like Amazon, but even those are being challenged by new corporations, Multichannel Merchant contributor Jeremy Hanks explained. 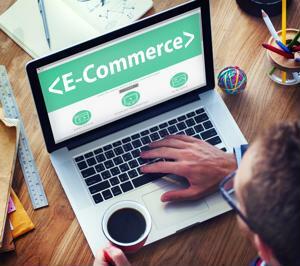 According to a 2014 survey from Boston Retail Partners, 32 percent of companies expected their sales growth to be from e-commerce, while 21 percent said it'd be from stores, Internet Retailer reported. This is a significant difference from the previous year, when 52 percent said brick-and-mortar stores would receive the most business and only 23 percent said e-commerce. Some retailers currently have two separate supply chains - one for online and one for stores. They have yet to combine the two successfully, which has created an $800 billion problem, according to the IHL Group. Out-of-stocks and overstocks are causing companies to lose money. However, without proper warehouse management software monitoring both online and in-store sales, retailers cannot know exactly what products they have and what they need. Fortunately for consumers, businesses are currently in the process of streamlining the supply chain. According to Boston Retail Partners, 93 percent of retailers are working to create a unified commerce system, and 85 percent said they can take inventory from various departments to fulfill orders from different channels. An omnichannel presence may make it more difficult to complete orders, but with the proper management system, companies should be able to remove any bottlenecks from their workflows. Consumers will appreciate being able to order online or via mobile device and return or exchange products in-store, Multichannel Merchant explained. This flexibility ensures that brick-and-mortar stores are just as necessary as their Web-based counterparts. However, this will leave retailers struggling if they are not properly prepared. When items are out of stock, retailers can lose both sales and customers. Consumers aren't going to return to a company they know doesn't meet demand for popular products, they're going to go to a store that can fulfill their wishes. This remains a problem for many businesses. Approximately 40 percent of retailers can let customers know if items are in stock at brick-and-mortar stores, but only 20 percent can do the same for online shoppers, Boston Retail Partners reported. Businesses require systems that will keep all parts of the supply chain up to date on the events in various areas. Communication is the key to success. Real-time inventory visibility helps distribution centers fill both online and store orders accurately and in a timely manner.